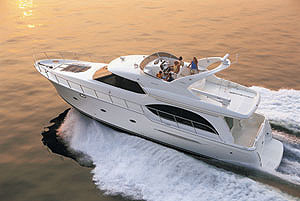 Moontan is the Lowest Priced and Cleanest FRESH WATER Boat on the Market! Many Custom Items Like Teak Steps to Flybridge, All New Bridge Carpeting, Deluxe High End Marine Stereo and So Much More! Moontan has had light use as evidenced by her low hours. She has also seen top care and maintenance by her fussy owners. Do not look at this boat unless you are ready to buy, as, she is that nice!! 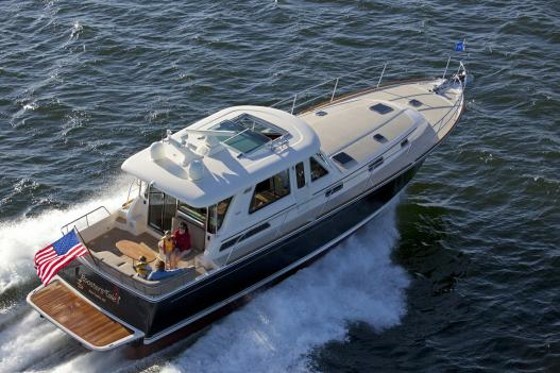 This boat was ordered and built for the Charleston boat show in 2012. She was ordered to impress with the big engines and tons of high dollar options. 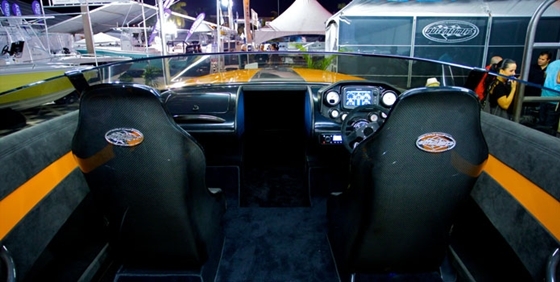 Some of her optional features include air and heat, Raymarine Premium Navigation Package including radar, cockpit to bridge safety door, bridge refrigerator, bimini top with full enclosure, custom new bridge carpets, custom teak on the bridge steps, high end new marine stereo system, speakers and remotes in 2018, fore deck sun pad, generator and so much more. To view the detailed list of factory options and key features please click on the View Full Specs tab. NOTE-this boat is located offsite at The Peninsula Yacht Club in Cornelius, NC. Please call ahead as she is shown by appointment only. 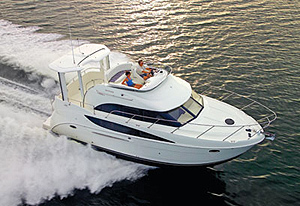 The boat owners request serious prospective buyers only please. Please contact the listing broker for more information or to schedule an appointment to take a look. Thank you for your interest! While many cruising yachts less than 40 feet in length are best-suited to overnight or weekend stays, Meridian's 341 Sedan has redefined the class by providing the comfortable accommodations and extra features you need for extended cruising. This livability incorporates accommodations for four in two spacious staterooms, a full-service galley with all the amenities and an airy salon with opening windows, panoramic views and entertainment center with 20-inch LCD television, AM/FM/CD/DVD system and both salon and bridge speakers. Like the rest of the Meridian Yachts fleet, she also offers standard underwater exhaust which gives you a quiet ride with no exhaust issues. The 341 from Meridian redefines just how much cruising comfort you can design into a compact sedan. 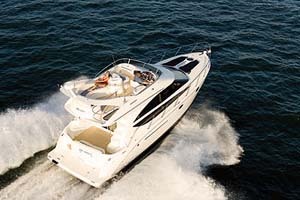 This boat offers you more room and comfort than many 40' boats!